Look here for a list of Catholic spirituality books and stories of the saints. Catholic spiritual reading is the first step after learning the truths in the Catholic catechism. Reading spiritual books helps us to live what the Catholic catechism teaches - the Ten Commandments, Apostles' Creed, sacraments, and prayer. Which spiritual books should I use? The most highly acclaimed spiritual books are those written by Catholic saints, they tell the principles, trials to beware, and helpful ideas that start you in the right direction on their successful path to Heaven. It is important to be discerning as many denominations have books about spirituality and have their own sets of saints. Also, many Catholic books have been rewritten with an odd or non-Catholic perspective. Depending on your state in life, you can ascend the Way of Perfection with spiritual reading from such greats as Saint Benedict, Saint Augustine, Saint Teresa and other Roman Catholic saints. Let the saints guide you, as they have already walked the walk. Simply, the first spiritual step to being holy is to practice the Catholic Faith which begins with the Catholic Ten Commandments and Apostles' Creed. Study them and be familiar with what they ask and do not violate them. If you don't know what they ask simply read them, pray, and ask a traditional priest to explain. You'll see my favorite recommendations throughout the length of this page. They're the recommendations of many good Catholic priests, monks, and nuns. Of course, in the Catholic catechism, the Ten Commandments are an outline that expands in higher level catechisms. The Ten Commandments already set a holy "rule of life". They are the basis, or chapter outline of one of four units in a Catholic catechism. The first three Commandments include the sacraments and prayers. Be encouraged that the Apostles' Creed is easy to learn. It's simply a quick outline of salvation history in just twelve phrases of what we believe as Catholics. Once you have learned the Ten Commandments and Apostles' Creed you've got the outline of most any catechism. Then, simply ask and read more about the Commandments and the Twelve Articles of the Creed. The Catechism of the Council of Trent is an excellent adult catechism. After the catechism Catholic spiritual reading draws you to holiness. Benedictine? Study Saint Benedict's Rule. Augustine? Study Saint Augustine's Confessions and his City Of God. Franciscan? Study Saint Francis of Assisi and Saint Clare and her Poor Clares nuns. Carmelite? Study Saint Teresa of Avila and Saint John of the Cross and their writings. Ignatian? Study Saint Ignatius of Loyola and go on an Ignatian Retreat! Not sure? Pray the daily Rosary for discernment. Learn how to pray the Rosary here. After learning the catechism, reading spiritual books is the best way to prepare for living a holier life. The following books are mentioned as guidelines for Catholic spiritual reading, yet you must also be careful the "translation" you buy. We do not recommend all versions. There is frequently a mix of disbelief or oriental pagan elements introduced by some authors, translators, and publishers. When in doubt, check it out or leave it out. 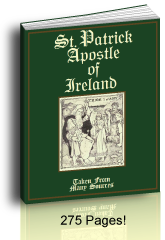 You can look for good versions by Catholic saints especially their writings on the lives of the saints at publishers like Tan Books, PCPbooks.net, and Mother Of Our Savior; these make excellent food for meditation. I also learned much from Fr. Lassance, Fr. Von Cochem, Dom Garigou-Lagrange and more as well. These recommendations are listed in order of simple through deeper. The Douay-Rheims Catholic Bible (DRV), an Audio Douay-Rheims Bible, or The Douay-Rheims Catholic Bible Online (for research, as a concordance, and quoting Catholic Bible verses). The Rule of Saint Benedict, Saint Benedict of Nursia - Did you know that this is simply one to three paragraphs per day and prints out to about 15 8.5x11 pages double sided? Super family and employer advice also for daily circumstances as well as a guide to the Benedictine life. The True Devotion to the Blessed Virgin, by St. Louis De Montfort , or Audio CD. Ask your pastor or confessor. Perhaps you have a vocation. A priest can often direct you to an order that will match your interests and talents. Follow his advice and pursue God's Will. Also, there are frequently Benedictine, Dominican, Franciscan, and Carmelite Third Orders if you do not have a vocation to the priesthood or the religious life. Begin your Catholic spirituality with the Rosary and spiritual reading by Catholic saints. What better guarantee! There are spiritual warfare prayers after the thinking of Saint Ignatius of Loyola and his excellent Ignatian Retreats. There are also many inspirational Catholic books, but our favorites are those that tell the stories of Catholic saints. The saints stories bring the catechism and various spiritual rules to life. They make being holy seem more possible and way more interesting. I'd avoid the books that emphasize how bad saints were before their conversions that don't also explain what was bad and how the conversion came, or stories that end abruptly with little edifying material, especially for children. The whole idea is to find the model of sanctity to imitate, not to become immersed in the bad details. Do you know the life of your patron saints? Often this is the best place to start your Catholic spiritual reading. Be certain to seek the counsel of a good Catholic priest if you are following a vocation or a serious path in the Way of Perfection. Our hope is that our site helps you find the shortcuts to learning about Catholic spirituality. If you thought that Catholic spirituality means learning to be a Catholic, you were right. It is the Way of Perfection. Being a good Catholic is prerequisite to being holy. Are you receiving the sacraments of Penance and Holy Eucharist regularly? Are you praying and practicing the virtues? If not, the rest of this page is designed to give you some good ideas. The Roman Catholic Church is the Church of Jesus Christ. After the Fall, God prepared His creation for the Incarnation of His Divine Son and its Redemption by Jesus' Passion and Death. He rose from the dead to prove that all scriptures spoke of Him; that He is the Son of God, as foretold by Isaias and Daniel. Jesus gave the keys to the Kingdom to Peter and Peter went to Rome. The Seat of Peter is in Rome to this day, it was his diocese. This is why our Church is called Roman. This is just a simple start; yet there is so much more that can be learned about Catholic spirituality. Every Roman Catholic catechism has a similar outline and is also the basis of Catholic spirituality. Children? 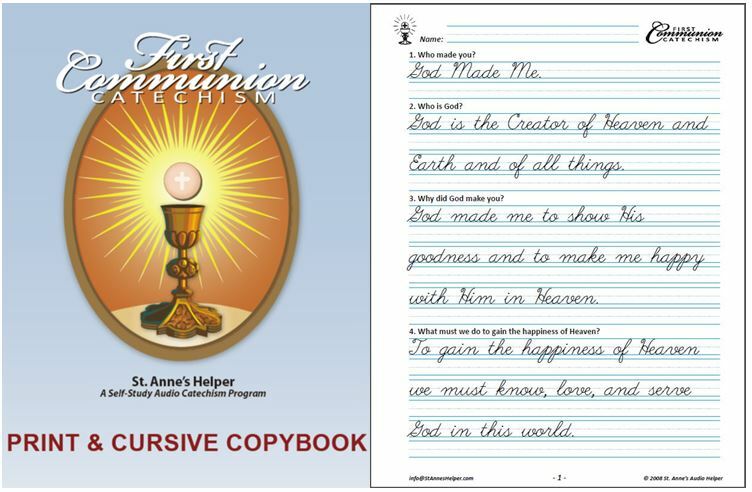 First Communion Catechism Learn the prayers, Ten Commandments, and first sacraments. Youth and adolescents? Confirmation Catechism and This Is The Faith. Learn about the Holy Spirit, the Blessed Trinity, and being strong in the Faith. Adults? 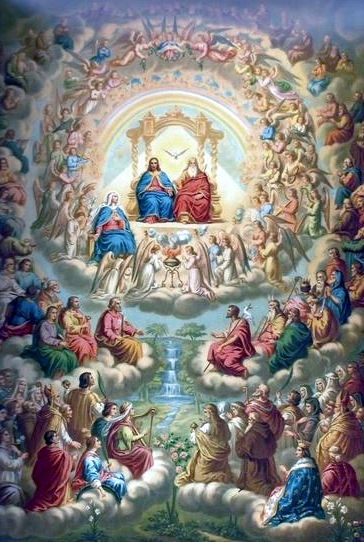 Lives of the saints, and The Catechism of the Council of Trent (a very easy read). More? 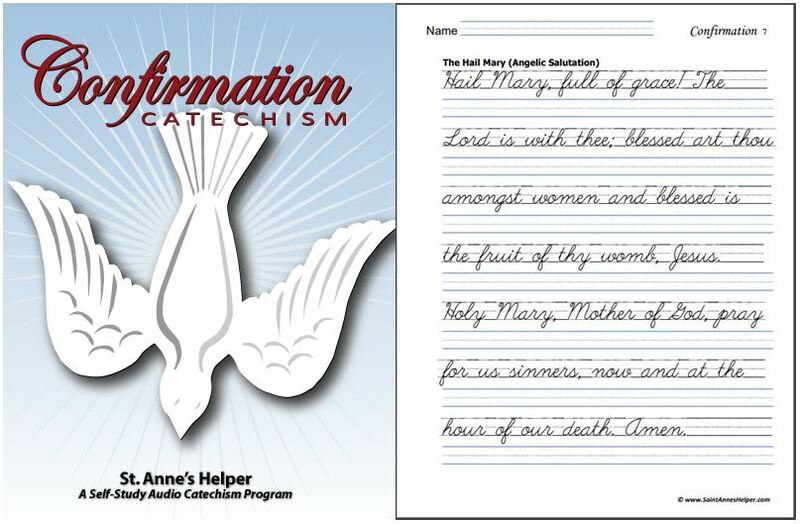 Read The Catechism Explained. 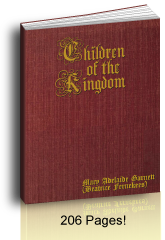 Once you've read one of these, though, you have covered the catechism basics. You can use our audio recordings of the basic questions and answers if you are studying to be received into the Church. Why do we have to specify Roman in our web searches? We need to be specific since there are many sites that offer a watered down version of the Faith as if they do not even want to use the term Catholic, much less Roman Catholic. There are also other denominations who use the term Catholic and one must differentiate so as to be sure to find specifically Catholic spiritual reading. We keep you in our prayers and request that you say a prayer for us.